The Kapok Camp gets its name from the tall surrounding trees. Kapok, the common name for the tall Ceiba Pentandra tree, native to Mexico, Central and northern South America, is better known for the fibre that is harvested from the seed pods. Kapok fibre has been widely used instead of down as a filling in pillows or mattresses. Liquid from the boiled bark of the kapok tree has been used as a diuretic and aphrodisiac. 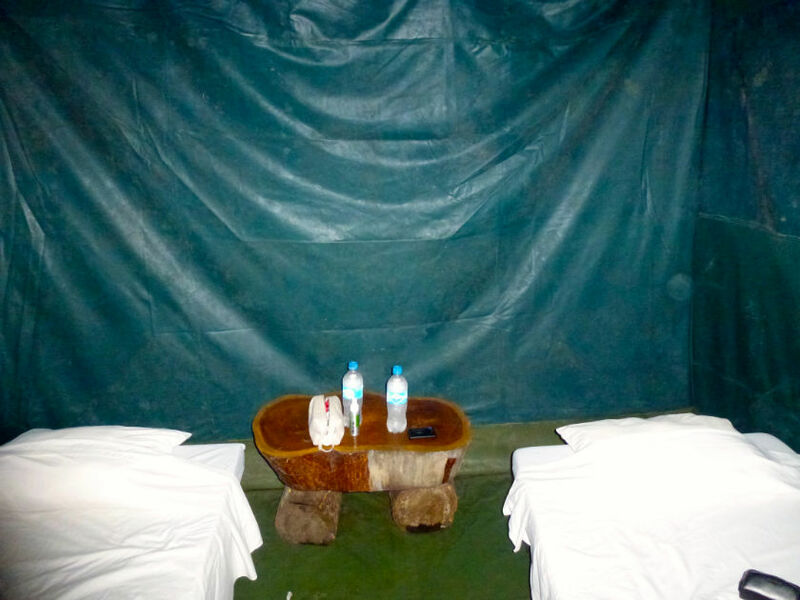 After we arrived hot, sweaty and tired at the camp we were allocated our cabins. I found large holes in the door flaps that could let bugs and flying creatures in but luckily I found some tissues in my knapsack to block the holes. 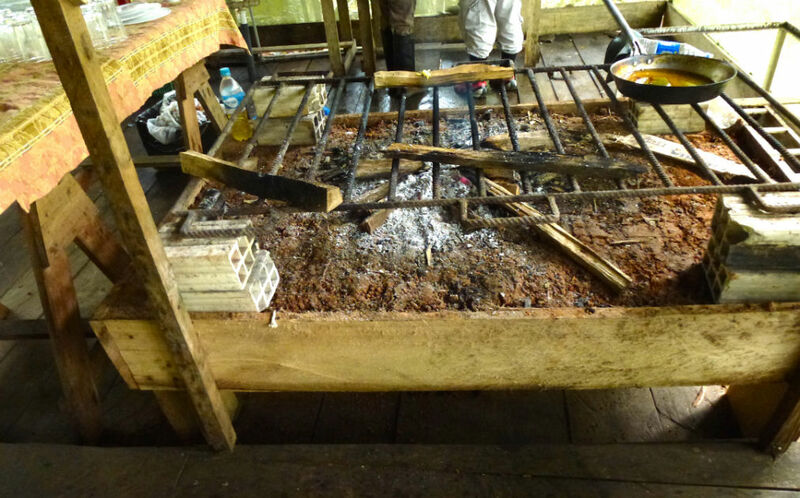 Here is what the cabin and the kitchen area of the lodge looked like. Not exactly the Ritz but not jungle floor either. We gathered in the lodge where we were served our dinner. One of the dishes was fish wrapped and grilled inside large green leaves. Later that evening we heard a talk from a medicine-woman who bought along some of her concoctions to demonstrate. 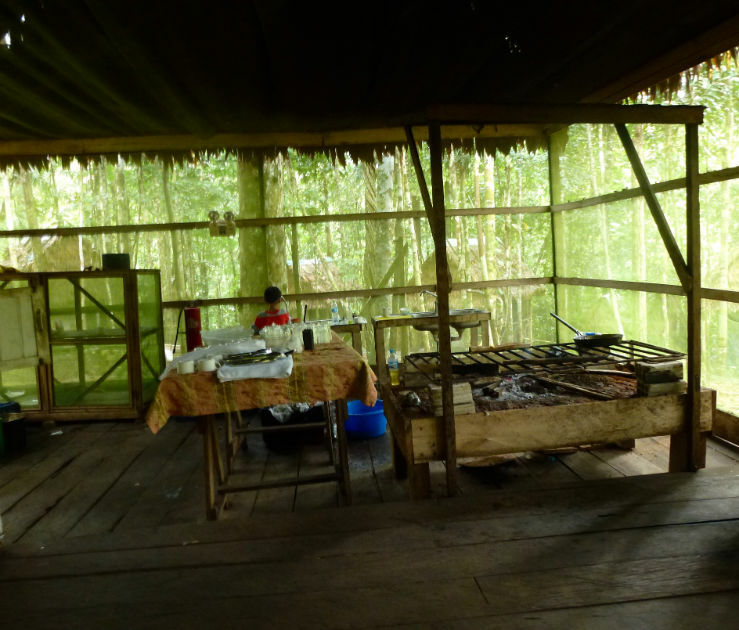 I would love to learn more as our guide mentioned that many new drugs were based on derivatives of plants found in the rainforest. 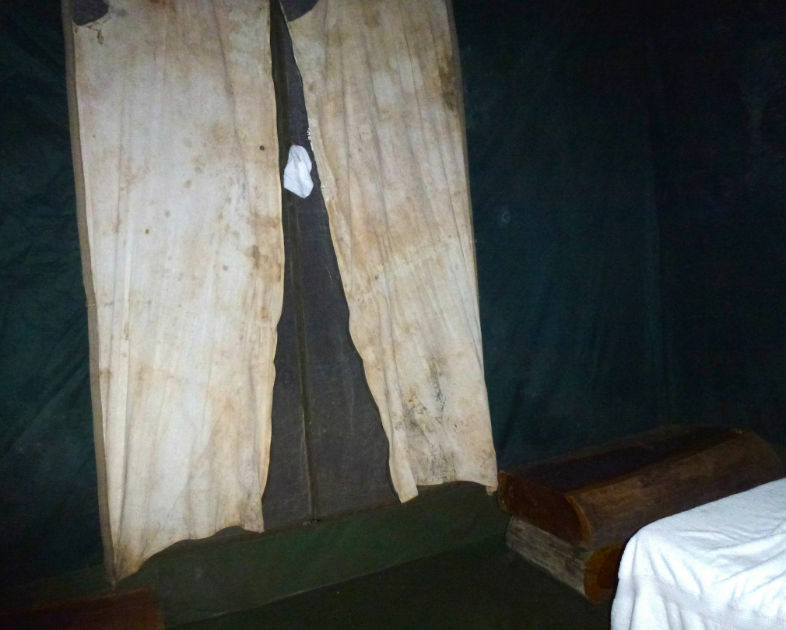 When I originally posted the story of my night in the Kapok Camp it caused much hilarity at the time. It is too long to post as a whole in this blogging challenge but I would love you to read it and laugh with me. Or at me! 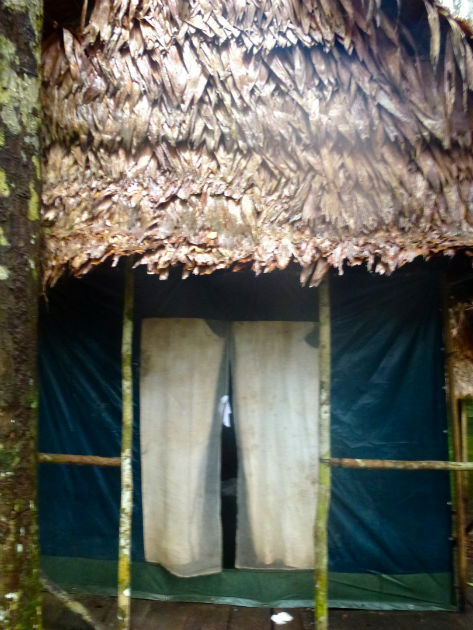 So I am adding the link here to my story Amazon River Expedition: My Night in the Kapok Camp. Please read and enjoy.